After a phenomenal time at this years 16th annual Suwannee Springfest, I’ve been re-living it through folks’ videos, photos, and words on the festival. Honest Tune‘s David Shehi and Rex Thomson recorded some amazing sessions with many musicians at the Festival including Yonder Mountain, Donna the Buffalo, The Infamous Stringdusters, and more. Here’s a fun photo of their session with Tara Nevins and Jeb Puryear of Donna the Buffalo. Stay tuned to Honest Tune (www.honesttune.com) for lots of fun stuff! … and remember to Vote Rex! Hype-magazine posted a Suwannee Springfest teaser! So much more to come, exclusives with Donna the Buffalo, Greensky Bluegrass and Whetherman! Check out some awesome PHOTOS. Asheville’s Moses Atwood will be teaming up with Johnson’s Crossroad for a Co-Bill at the Lexington Ave. Brewery on Friday, March 30th. Moses will be celebrating the release of his NEW album One Bright Boat. Joining Moses for his set will be Dave Mack on bass, Jacob Baumann on Drums, Evan Martin on Guitar, and other special guests! Moses will also be sitting in with Johnson’s Crossroad (JXR) for a song or two. Johnson’s Crossroad has a lot in store this year and are going to be heading back in the studio to record a 3rd album. 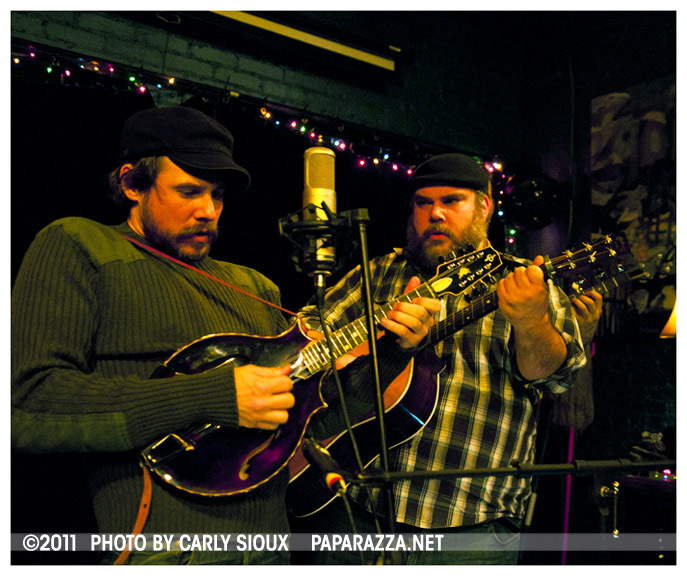 Their 2011 release Mockingbird was voted #7 on WNCW’s Top 20 Regional Albums! Having played around 140 shows in 2011, they continue on their travels and are performing Merlefest for the 3rd year in a row and were added to the John Hartford Memorial Fest in IN and Band Lands Bluegrass in WV in 2012! 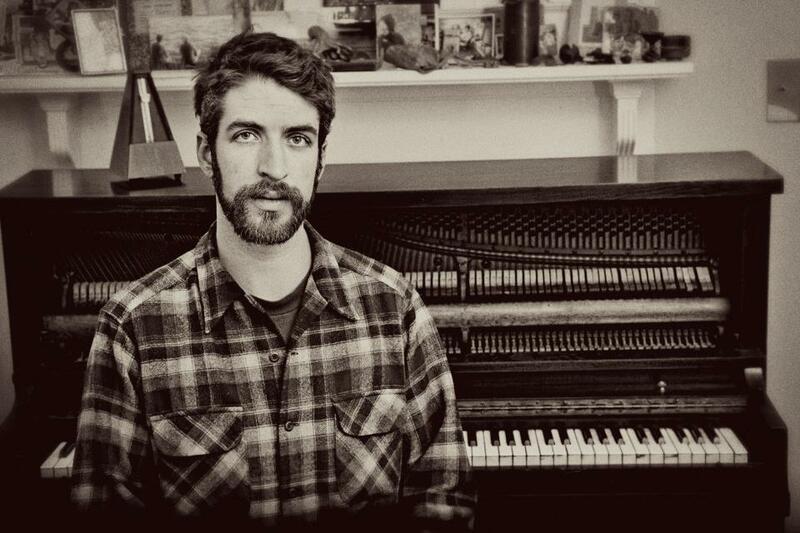 It’s been four years since singer/songwriter Moses Atwood (also known for his work with Johnson’s Crossroad and The Overflow Jug Band) released his self-titled debut. 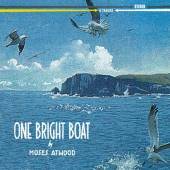 That was in 2008; suddenly last fall Atwood decided it was time to put together his new collection of songs, One Bright Boat. So he rounded up a group of musicians and headed to Waking Studio, the new digs of Bill Moriarty (Dr. Dog) in Philadelphia. There, Atwood and company knocked out the nine tracks in a mere week. The songs, he says, were culled from the years since his first album. While some date back to when he lived in Maine, most were written in North Carolina over the last few years. One Bright Boat doesn’t sound pressured or hurried. It opens with rollicking piano, the easy jingle of tambourine and tasteful flourishes of guitar. Atwood’s voice is what colors in the picture, relaxed and rich, rising effortlessly in a warm baritone. “I’m tired of being the sad man, tired of all the sad songs. I’m tired of living my life like I’ve done something wrong,” he imparts on the spirit-lifting, cloud- parting title track. If Atwood’s first record paid homage to his troubadour heroes (Woody Guthrie, Utah Phillips), One Bright Boat is less road-weary and more refined as Atwood leaves the minstrel role for that of bandleader in the style of Van Morrison and Randy Newman. Running like a current through the record is Atwood’s talent for telling a story in fleeting images and washes of sound. These aren’t ballads but modern song-sketches of places longed for and passed through, people met and parted with, time passing. There’s space on each track — an easy flow of tides and waltzes (“California”), of pedal steel accents and Atwood’s comfortable flannel- and-bourbon vocal polished with (on “At Last”) gospel and brass. For a young artist, Atwood comes admirably close to that balance. It’s an album that rings both fresh and familiar, of-a-time and timeless. With One Bright Boat, Atwood’s ship comes in. Their 2011 album Mockingbird puts songwriter Paul Johnson in line with names like Guy Clark or Zac Brown and his powerful voice evokes memories of folk stars like Taj Mahal or Burl Ives. 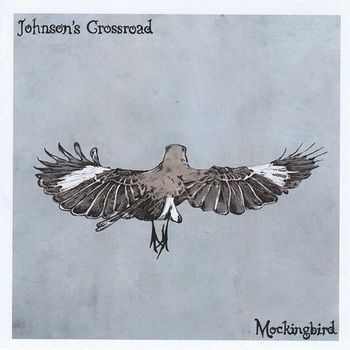 The Wilmington Star News describes, “It’s gruff and easygoing, like a mix of Tom Waits and Ben Knox Miller of The Low Anthem.“ AmericanaUKexclaims, “With ‘Mockingbird’ Johnson’s Crossroad seem to have just proved themselves to be one of the finest Roots rockers around right now.” The album was voted the #7 Regional albums of 2012 by WNCW! The sincerity of Johnson’s songs and simplicity of his lyrics make you want to pour a brew, put your feet up or head to the hills. Asheville’s Bold Life call the band a “treat to see live” and says that, “Paul Johnson has a knack for creating powerful visuals with straightforward lyrics.” Dobro, mandolin and fiddle back up Johnson’s clean lyrics on some, other times its simple finger picking to a folksong. “I like to keep the words simple,” said Paul Johnson. “I try and follow Hank Williams as much as possible, let the words tell the story and the music back it up,” Johnson said. His inspiration is simple yet intently focused. “I was born in the mountains of West Virginia, I’ve always been in the mountains all my life,” said Johnson who now calls Asheville, NC home. “This is what I’ve always wanted to do, travel around and pick guitar,” said Johnson, who writes the majority of the songs for Johnson’s Crossroad. Watching his back is mandolin player Keith Minguez, a strong friendship at the core of the group. “In 1998 I met Paul and I saw John Hartford on my first visit to MerleFest, it was life changing” said Minguez. Then in 2004 he had enough, “I was 30, living in Florida, drinking with my dad’s buddies and they all said the same thing, ‘drink scotch and water and never stop chasing your dream.’” He called Paul and in 13 hours was at his door with mandolin in hand. “If Keith wasn’t around nothing would get done,” laughed Johnson. Friends Corey Lee McQuade (Dobro, banjo, harmonies) and Moses Atwood (keyboard, Dobro, harmonies) sit in on variety of gigs, and often other friends join in support Johnson’s constant search for great sound. 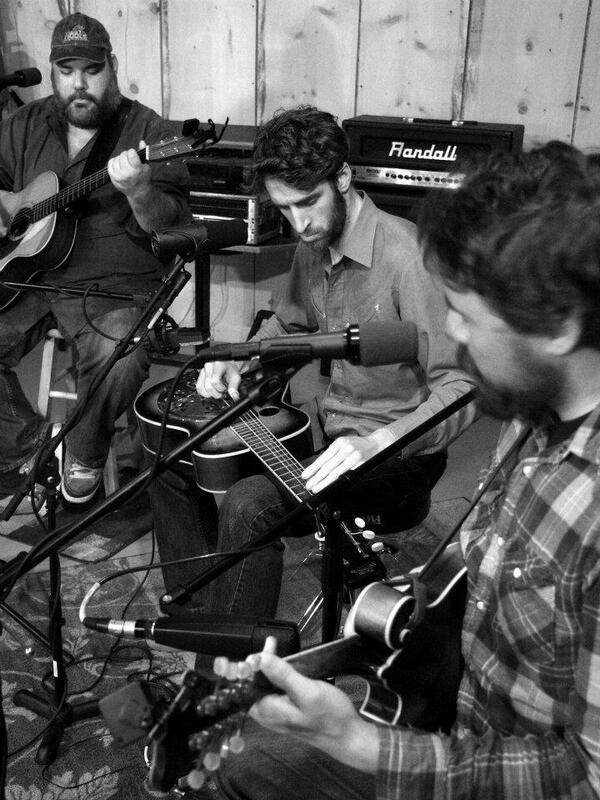 The band is returning to Blue Ridge Big Sky Music Studio (appropriately topping a peak above Moravian Falls, NC) to record their 3rd album in 2012. Who could resist after the experience they had last time around? It’s where they’re comfortable, it’s where everything is comfortable. Making music with friends, fans and family. At the studio, it’s a drive to the county line to get a little cell reception and distraction is not so digital, just were they need to be. They are looking for an early 2013 release and will be spending time over the summer and fall getting the next one just right, working again with John Adair as Engineer and Producer. Since their first album Blood in Black and White they’ve won spots at national events like Merlefest, Floyd Fest, Music City Roots and Bristol Rhythm and Roots, with tours to the Northeast and Midwest that continue throughout 2012. Years playing the road to empty rooms have passed. Johnson’s Crossroad travels on with over 150 shows and a world of mountains ahead to climb. Check out this video of Moses with JXR performing the song “Louisiana” that is on One Bright Boat. Click to see last year’s winners! We are thrilled to announce a call for submissions for the 5 year anniversary of Music Video Asheville (MVA), the annual showcase to highlight the pairing of Asheville musicians and filmmakers. MVA returns to the Cinebarre on Wednesday, May 9th and the deadline for submissions to this year’s event is Friday April 6, 2012. Prizes for winners will include a free day of studio time at Echo Mountain Recording Studios and a $500 cash prize! To celebrate the 5th Anniversary of one of Asheville’s favorite music events, the MVA crew is rolling out the red carpet…literally. This year, Music Video Asheville strongly suggests “Grammy style” attire (with Asheville flair, of course) and is offering a VIP package that can’t be resisted. Pre-show cocktail hour will take place in the lobby from 7-10 complete with limo rides, red carpet and numerous photo ops. Also NEW to this year, MVA will be hosting an post-awards party at The One Stop starting directly after the event with tunes from DJ Molly Parti! Stay tuned to the website for more details about the VIP ticketing and the afterparty. MVA tickets will go on sale on April 10th. Music Video Asheville 2012 is produced by Lush Life Productions, theONcorps, Sound Mind Creative, and Dreamspider Publicity. We are proud to announce the 98.1 The River is our media partner for 2012! If you’d like to get involved as a sponsor or volunteer for the event, please contact Kelly Denson at Kelly@LushLifeToday.com. Press inquiries can be directed to Erin Scholze at dreamspider@gmail.com. All Asheville-area musicians and filmmakers are invited to submit music videos. Conceptual Music Videos, Live Performance Videos, Music Documentary Shorts and Experimental/ Animated Music Films are all accepted. 1. Video or film must focus on at least one musical artist currently residing in Buncombe County and must contain at least one song by the artist. 3. There is a $15 submission fee for each video submitted, each individual submission must be under 10 minutes long. Please make your check out to Lush Life Productions. All submissions may be mailed to: PO Box 17356 Asheville, NC 28816 OR dropped off at Harvest Records in West Asheville on Haywood Road.All submission MUST include the filled out submission form and $15 submission fee. 2. Next best option – H.264 Quicktime compression with the highest resolution possible. NEW for PC Users: While we appreciate Quicktime files, your entries can also be in mp4 and mov. formats, also in the highest quality settings. Please note: .Avi, mpeg, basic DVDs or other files will not be accepted. Do not send press kits, one sheets, bios, photos or any other materials with the submission. Submissions that include these materials or are not in the correct format will not be considered. Who gets selected for the showcase? All submissions that meet the guidelines will be considered by the MVA committee. The best 90 minutes of footage will be selected for the showcase. Questions about submissions? Email Kelly Denson at Kelly@LushLifeToday.com or call 828-515-1081. 1. Crowd Favorite Award – At the event, the audience will vote for their favorite video, and the winning artists will receive a $500 cash prize as well as a coveted/quarky MVA trophy. MVA will also acknowledge a crowd favorite runner up this year. 2. Best of Music Video Asheville 2011- MVA is proud to be offering a the BEST OF MVA Award selected by a jury of film and music industry people. The winner will receive a day of free studio time at Echo Mountain Recording. 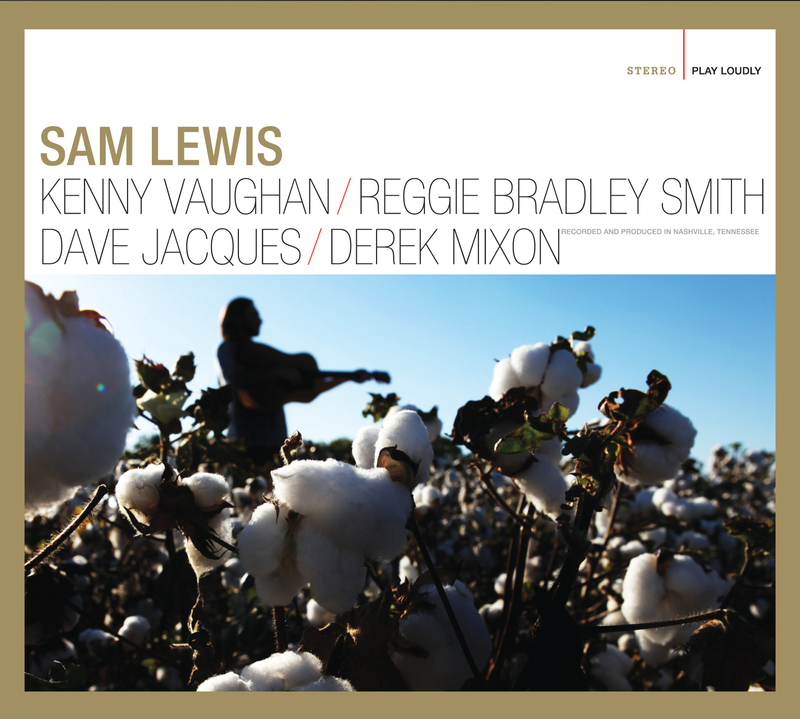 Sam Lewis’ Self-Titled Americana/Country/Soul Album Releases TODAY Featuring Kenny Vaughan & Co.
Sam Lewis releases his self-titled debut March 13th. In it, he pulls together some of Nashville’s most seasoned musicians, who have helped put the breath into a body of songs that are as straight-forward and captivating as the man who sings them. 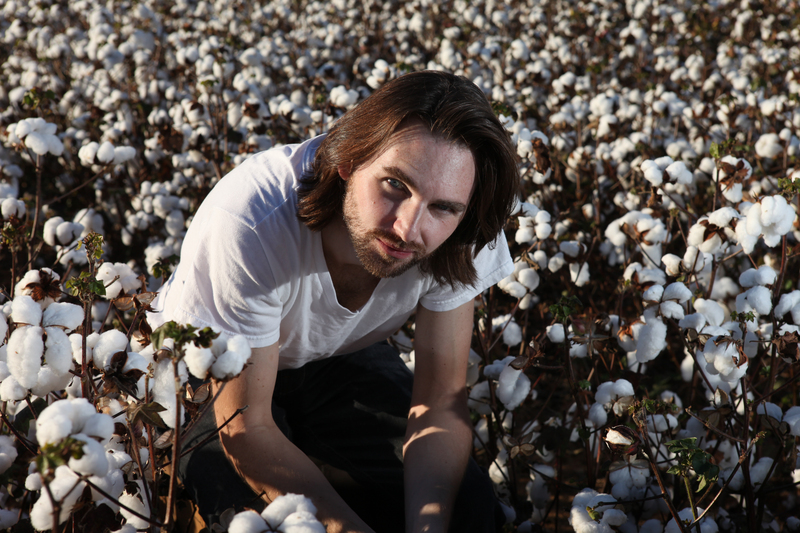 Five years of constant writing, performing and touring have become the nexus of Lewis’ self-titled debut. Along with co-producer Matt Urmy, Sam has woven ten songs into a conversation, between himself, the band, and his listeners. Urmy, himself an accomplished singer/songwriter, assembled a group made up of Nashville’s top session and touring players, including guitarist Kenny Vaughan, keyboard player Reggie Bradley Smith, Derek Mixon on drums and bass player Dave Jacques. Making a surprise appearance on the album is soul chanteuse Jonell Mosser, providing backing vocals on “I’m A River”. from your favorite Americana DJ’s! Release Date Tuesday, March 13th!